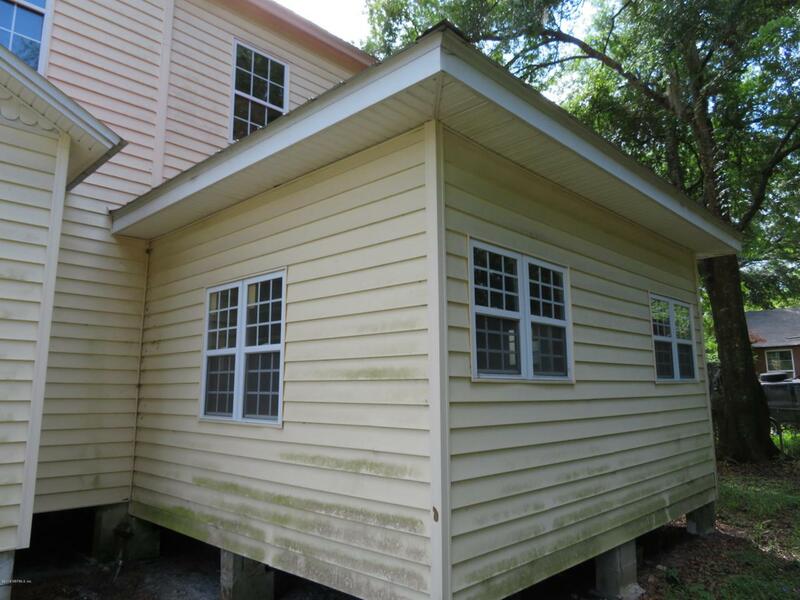 Bring your imagination and an inside of this house. It has everything else. Former birthplace home of Charles Merrill (Merrill Lynch). 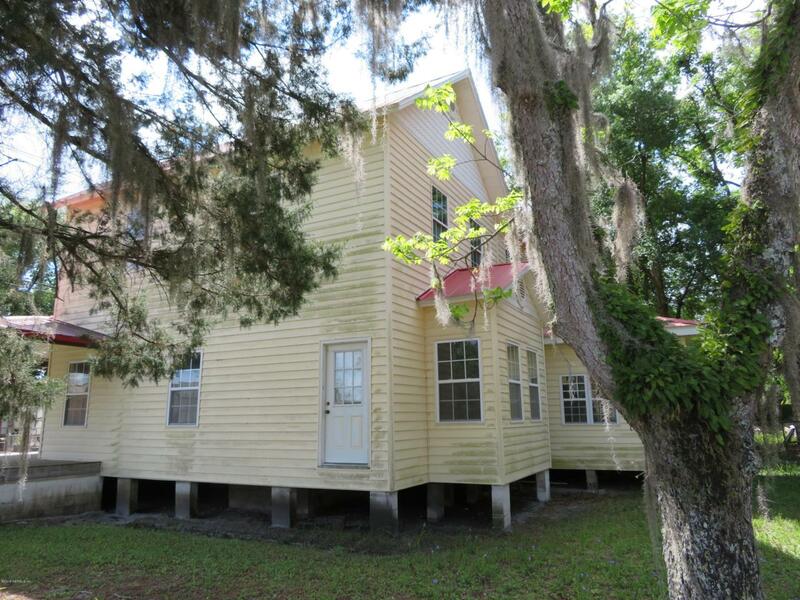 This home relocated to the center of Green Cove Springs within walking distance of banks, city and county buildings will make an incredible office space for professionals or small businesses. 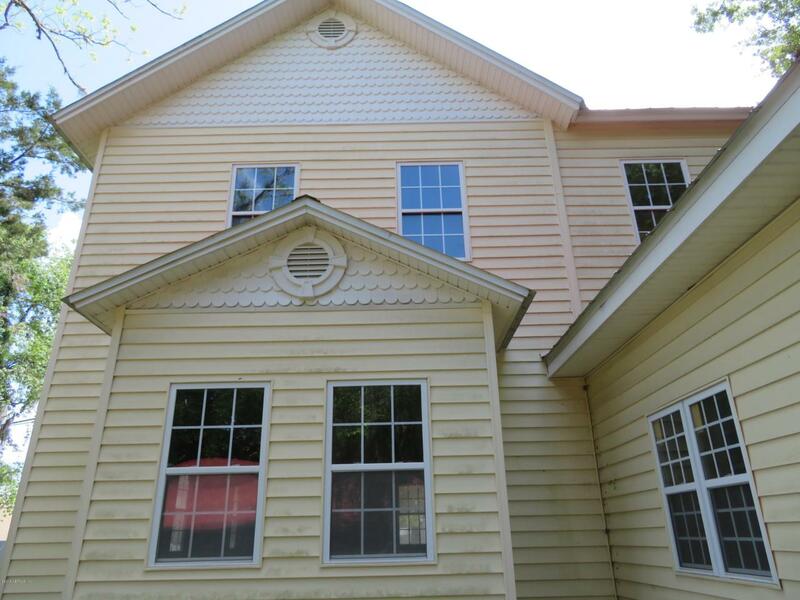 Yes it needs a lot of interior work but the exterior is insulated siding and the roof is less than 7 years old. 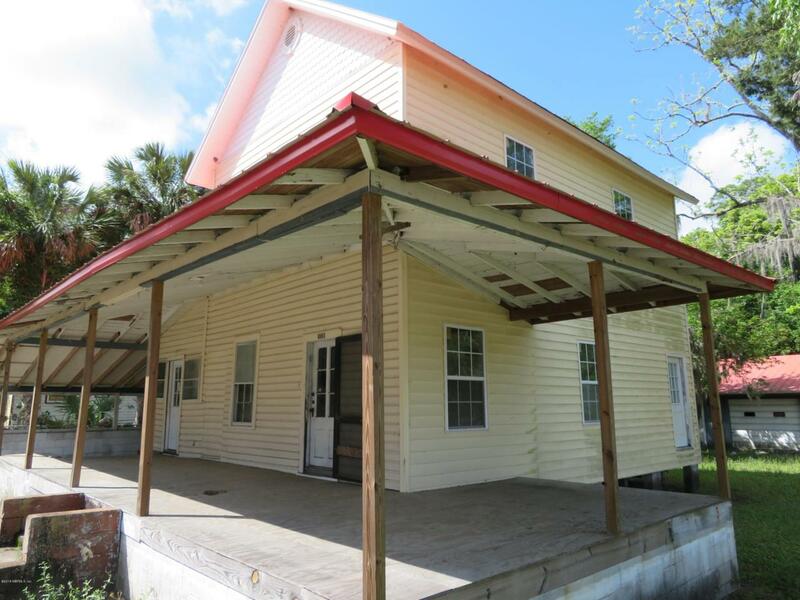 It also has a 1234sf concrete block garage/storage building with a metal roof as well.